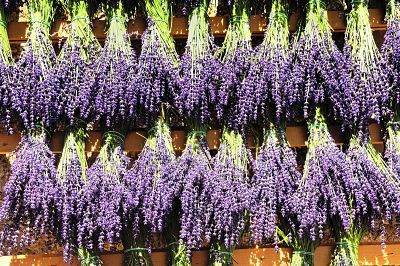 You are here: Home / Lavender Farming / Lavender – The Sweet Smell of Success! So you have a backyard where you have a spot where nothing grows but grass. That’s not the problem, either. What you’d rather have is a reason not to mow that section at all if you could avoid it. At the moment, since you are semi-retired, it’s a bit annoying that you already have a garden but would really like to use that other part for something else. If I told you that you could make money with a cash crop on a part of that yard that would be not much bigger than 20-feet by 20-feet, would you be interested? The cash crop I’m talking about is lavender. You read that correctly. Lavender can change that part of your yard from something that you have to mow on a regular basis to something that can rake in something other than grass clippings. 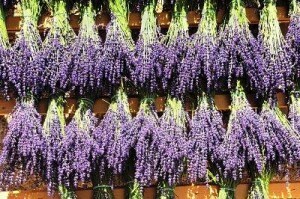 Lavender is something you can grow and sell pretty much all year long if you wanted to. For an example, that 20 by 20 section you’d rather not mow can produce in the neighborhood of three-hundred bunches of plants annually. If you were to sell a bunch of lavender at the local farmer’s market for $6 that means your backyard has the capacity to produce $1,800 in revenue. Oh, but it gets better. Lavender is one of the best value-added crops you can manage in a small backyard plot. If you don’t sell all three-hundred or so bunches in the summer months you can dry the remaining plants and sell them to crafters and florists looking for dried bouquets. That’s not it, either. Dried flower buds are used in the creation of scented sachets that can be dropped in dresser drawers, closets and anywhere you’d need a bit of air freshening. These can be sold to the local variety store or if you are really creative, on your own lavender products website where you can make all the profits and take orders which helps with stock control and inventory. And there’s still more! If you have a greenhouse in your yard, why not take cuttings from your crop and grow new plants that you can sell to garden centers, nurseries or to the general public. The list goes on. Yes, you can even use lavender in the production of various pet products. Check online for some easy crafts that can turn lavender into a flea collar or scented sachet to hang above the litter box or stash into a pet pillow or blanket for a fresh smelling place for Fido or Fluffy to catch some zzzz’s. Also, if you are a bit on the crafty and creative side you can turn some of your lavender crop into various bath products such as soaps and lotions. Recipes and additional ideas can be found online. So if you are still thinking you’d like to dig up that spot in the yard you have to keep mowing because you’d rather not weed it, there is an alternative and a rather profitable one at that. Turning that part of the backyard into a lavender patch is not hard and as I’ve explained, can turn you into an entrepreneur in very short order. Not only can you sell the lavender directly to consumers, retailers and nurseries, you can also sell products online which proves this cash crop is all possible from the value-added spin offs that can come from growing lavender. All you need to decide is whether to turn it into a part-time venture so you can semi-retire or make it a seasonal fulltime job so you can retire and vacation for part of the year. 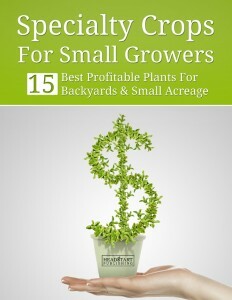 To discover more about growing lavender for profit, visit: www.profitableplantsdigest.com, where you’ll find dozens of articles about this aromatic cash crop. Is Pet Sitting The Perfect Retirement Business?